If you want to finance your energy efficiency upgrades, there are standard energy efficiency loans and energy efficient mortgages options available for your property. However, if you choose a loan or mortgage, it can take years to start seeing net savings from your energy efficiency improvements. 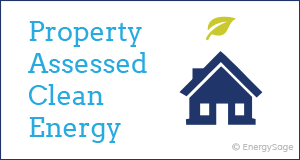 Property assessed clean energy (PACE) financing, in which you pay your loan back as part of your annual property taxes, is a solution to this issue. With many energy efficiency loans, property owners pay back the amount owed to the lender on a monthly basis. PACE financing is different. If you take out a PACE loan to fund your home energy efficiency improvements, you repay the amount owed on an annual basis as an assessment on your property taxes. A county, local, or municipal government must pass legislation that establishes a PACE program and makes funds available to investors, usually through the sale of a municipal bond. An authorized PACE lender (such as Renew Financial) provides those funds to property owners who want to make energy improvements, like upgrading a heating system or replacing windows, on their home or business. If you are a residential or a commercial property owner, you can use PACE financing to pay for a variety of home energy improvements, new heating and cooling systems, insulation, and other energy efficiency upgrades. While PACE financing provides homeowners with funds to make upgrades to their home, it is distinct from other home improvement loans in a few important ways. Instead of repaying the loan in monthly installments, property owners pay the loan back once a year for a fixed term (10-20 years) through an assessment that is added to their property tax bill. When you conduct energy efficiency improvements using PACE financing, you immediately begin to enjoy the financial benefits of reduced electricity use without having to pay anything up front. Because the amount of money that you save in electricity costs throughout the year will typically be greater than the annual increase in your property taxes, you will always benefit from the net gains of your energy efficiency investment. If you sell your property before your PACE loan is completely paid off, the rest of the money owed transfers to the new property owner. Unlike most other loans or leases where transfers are negotiated separately, PACE loans are attached to the property itself rather than the owner, which simplifies the transfer process. Plus, the new owners won’t mind, as they’ll immediately enjoy the financial benefits of an energy-efficient home. While funding amounts and interest rates for traditional loans are determined by your credit, PACE loan amounts are determined by the tax capacity of your property (i.e., how much your property is worth). For property owners who don’t have good enough credit to access favorable loan options, PACE financing is a great alternative for receiving the financial benefits of energy efficiency with no upfront costs. Because PACE financing must be enabled by legislation, it isn’t yet available everywhere in the U.S. The first step is to confirm that PACE options are available in your state. Currently, there are active PACE programs in 20 states plus Washington, D.C., and 16 more have PACE-enabling legislation. 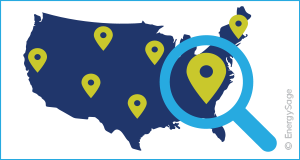 Of those states, three offer residential PACE programs through providers like Renew Financial: California, Florida, and Missouri. Find out if PACE financing options are available near you. While PACE financing is frequently used for energy efficiency improvements, it can also be a smart choice for homeowners and businesses installing solar. The money that you save by generating your own clean energy will be greater than the annual assessment on your property taxes, which means that your solar energy savings will be higher than your bill payments from the start.